Laptop batteries need to handle carefully. Once damaged, you need to replace them. Now the question arises that how much does a laptop battery cost? Well, it depends if you want to have an original or a generic battery. The original batteries usually cost double of a generic array, as laptop manufacturers see these spare parts more as a money-making machine. These original battery prices vary, solely depending on the model and brand you want to buy. The new power packs mostly sell them for $100. Some are even high as $150. We know that laptops battery is the most vital part for those whose works nature includes traveling. In this case, it helps you not to worry about its charging every time while you are working or even when you are away from your charger. Sometimes one forgets to take a charger along to the office, and then this vital part of your laptop is going to keep you on the go and lot more. What is the average life of a laptop battery? Laptop batteries mostly start failing within 1-2 years. An average laptop battery can go for almost 400 recharges. Then it starts losing its capacity of holding a charge. After this, the same battery that previously gave you 3-4 hours of runtime can now supply 1-2 hours of charge. How long should a laptop battery last after each charge? 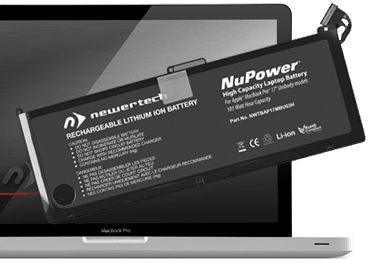 After going through a full charge and being unplugged from the power adaptor, a laptop battery’s average life can be between 1 – 6 hours. This time is being dependent on its battery, capacity, how old it is and how it used. The battery’s capacity decreases over time. It won’t last as it did before and over time, it continues to decline. The battery requires more power if more programs are running and more software programs are open.batterylife is also affected by a few other factors like an active WiFi, brightness of the screen, watching a video, etc. By using a laptop as a primary desktop PC, the battery cycles may waste as it’s plugged all the time. Once it’s plugged in an AC outlet, it doesn’t need the battery. Thus by popping the battery out, your current batteries life can be extended. You can quickly fix the battery when you want to go out. By investigating the third party alternates, you don’t need to buy a battery from its laptop manufacturer by paying a high price. By searching for the model and battery on the web, you can find third-party options which are less expensive. Having a simplified model system aids more in finding these replacement batteries. These old laptop batteries also need to be recycled too. What is Lithium Rechargeable battery? A lithium rechargeable battery being reliable and having the same life as a new battery, from an original device manufacturer to buy this one you need to spend some extra dollars. 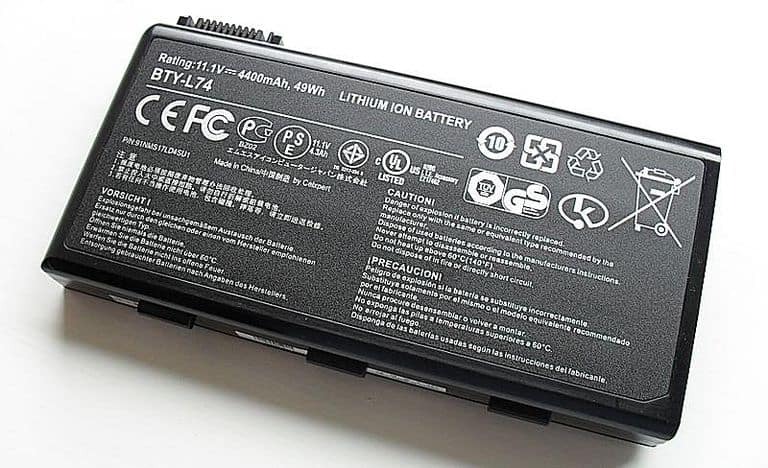 Average quality 6-9 cell laptop batteries usually cost US$120 or even more, an excellent working laptop being 5-8 years old, but the battery almost entirely shot. The replacement cost of this battery is a big sticking point because you can get a new laptop instead of paying a considerable price for its battery. Even the little chrome book devices cost a replacement battery of $99. You may find batteries of almost half the cost of what the manufacturer charges, beware! You may be scammed with a low capacity or even a fake cell product. These cheap imitation batteries are now responsible for the high failure rates and short run times, providing a service life of less than even 6 months. Thus you need to make a wise choice while buying a battery. You need to search well for the prices, read reviews of the people who used those batteries and then make a wise decision accordingly. How Much does a Laptop Battery Cost Brand wise. Here is a list of some of the famous laptop brands along with their prices and their average battery life. How Much does an Apple Laptop Battery Cost? Apple has different versions of laptops, so prices of their batteries also differ. Like 13 inch/15 inch, Mac Book Pro costs $129, another one 17 inches Mac Book Pro costs $179, while a 12 inch Mac Book costs $199. The average battery life of each laptop is 10 hrs. How Much does an HP Laptop Battery Cost? HP is a favorite brand of laptop, makes different models of notebooks, having different batteries. Like the battery of select HP laptops cost $79.99, while the Dantona 4 cell lithium ion battery costs $59.95, another BTI 4-cell lithium ion battery costs $99.99. It has an average battery life of 6 hours. How Much does DELL Laptop Battery Cost? Being one of the best in the industry, it has a variety of laptops and batteries. Some of them are NM 6-cell lithium ion battery for dell studio costs $49.99, another is BTI 6-cell lithium ion battery for Dell studio costs $119.99 while DENAQ 6-cell lithium ion battery for Dell latitude costs $57.99. All of them have an average life of 8-10 hrs. How Much does Lenovo Laptop Battery Cost? Lenovo is counted among the popular laptop brands these days making a wide range of models and offering different batteries along, like DENAQ lithium-ion battery for select Lenovo laptop is $62.99, whereas DENAQ 6-cell lithium ion battery for Lenovo ThinkPad is 36.99 while DENAQ 8-cell lithium ion battery for G40-70 & G70-80 is $49.99.it has an average battery life of 6-7 hours. How Much does an Asus Laptop Battery Cost? This innovative Taiwanese brand has a huge range of laptops having different batteries. One of its batteries is Dantona 6-cell lithium ion battery for select ASUS laptops which costs $62.99 along with DENAQ lithium-ion battery costing the same $62.99, whereas DENAQ 4-cell lithium ion battery costs $27.99. ASUS laptops range has an average life of 8-10 hours.